I have always liked this morning’s epistle. Those of you who have been around for a year or two have surely heard me refer to it as “Saint Paul’s adventure story.” Only this week it occurred to me to ask why Saint Paul was going on about his activities—he himself refers to it as boasting—and he is generally not the sort of man to boast about his exploits. The answer is that he was trying to keep the Corinthians from following “false apostles” who preached “another Christ,” a different “Christ” with a different “Gospel.” It is unfortunate, but Paul’s writings don’t explain exactly what these “false apostles” were trying to do. Yet, Scripture scholars do make some interesting and educated guesses about what they might have been up to. It seems clear that the “false apostles” were—like Paul himself—converts from Judaism. This causes some scholars to suppose that they were “Judaizers”—men who insisted that before one could become a Christian, one first had to be a Jew, and that one still had to observe the Law of Moses. Paul doesn’t allude to that in this epistle, although he does on other occasions. For example, we read in the Acts of the Apostles that Paul circumcised Timothy before taking him to preach in Jewish cities because “they all knew that his father was a Gentile.” This would be a subject of much argument, decided definitively for the Church at a council in Jerusalem described in Acts 15. But heresy doesn’t always die so easily, and the “false apostles” may have preached it. Other scholars suggest that the “false apostles” had been genuine enough, and actually associated with the Twelve, back in the days when Paul was persecuting the Christians. It seems that the “false apostles” may have had testimonial letters from the Twelve, and may have been ordained priests or consecrated bishops by them—they may have disparaged Paul by bringing up his earlier sins against those who practiced the Catholic Faith. Others suggest that the “false apostles” had succumbed to the temptations of avarice, finding that they could live well on the donations of the faithful, if these were used for their own private purposes and not for the relief of the poor. Earlier in this same epistle, Paul reminded the Corinthians that he, on the other hand, “preached unto you the gospel of God freely” and that his expenses were paid for by other churches, or earned with the work of his own hands, making tents. Given all the confusion in the modern Church, Saint Paul’s writings give us a guide for determining who is trustworthy and who is not. Modernists go far beyond praying for the conversion of sinners, and having respect for sinners as fallen children of God—they defend sin as a “lifestyle choice,” and sometimes even as a positive good, at least something that must be accepted by the Church in its “dialogue” with the world. 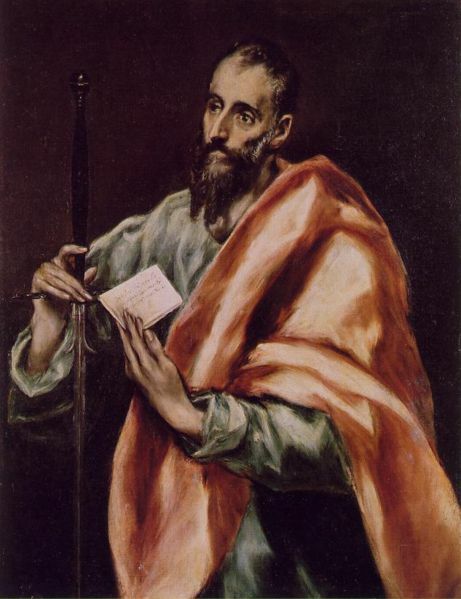 But, I think there is a very positive side to Saint Paul’s “adventure story.” Paul is clearly one who has “thrown in his lot” with Jesus Christ. He goes far beyond just preaching, and telling us what Jesus had to say about things. He joins Jesus in the life of hardship that Jesus lived to spread the Gospel. At least in some small way, we must consider doing the same with our lives. Particularly now, as Lent approaches, it is time to consider “throwing in with Jesus Christ”—accepting the difficulties and the hardships of life whenever doing so is necessary to keep the Commandments, to draw close to Christ, and to make the Gospel known among men and women. The adventure story is one of difficulty, but it ends with nothing less than the vision of God Himself in heaven!